The YWCA Greater Green Bay is a 501(c)3 nonprofit organization. To help make all of the programs and services possible, it is important for us to involve the community. There are a number of ways for you to support the YWCA including in-kind donations, as shown in the list below. You may also support the YWCA through our various volunteer opportunities or by providing monetary contributions. 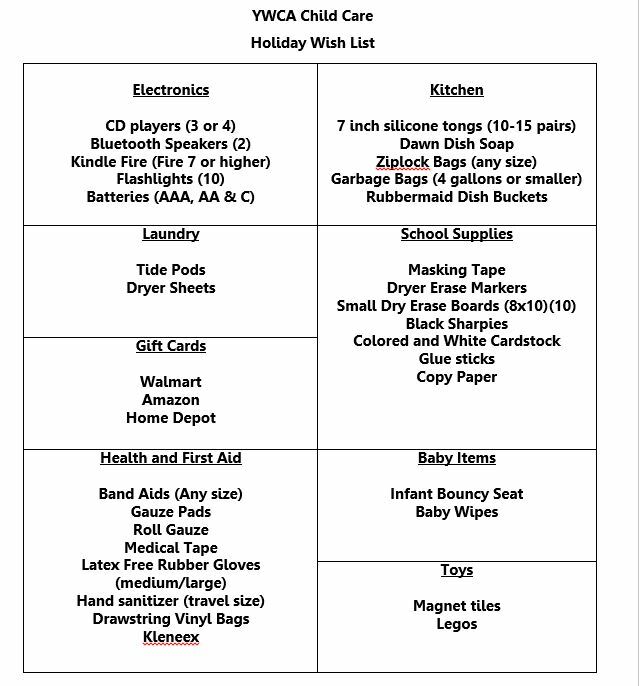 In addition to the items listed above, click here for a Child Care Wish List. Make an In-Kind Donation Today! Donations are accepted anytime during normal YWCA business hours. Contact Member Services at 920-432-5581 with any questions.